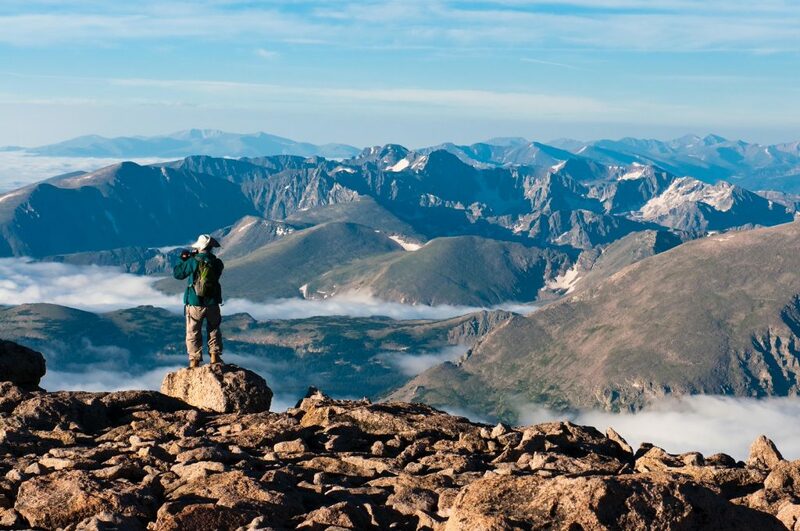 Colorado boasts some of the nation’s most dramatic scenery, and we think there’s no better way to experience its wild beauty than guided hiking trips in the Rocky Mountains or hiking in Boulder. Our professional local guides ensure your trip is safe, educational, and engaging – a unique Colorado experience you won’t find in a guidebook for the best hiking in Colorado. We offer guided Extra-Long Colorado hiking vacations in the Rocky Mountain National Park Area. Most trips are between 8 and 16 hours long and involve hiking Colorado peaks. These are some of the best long day hiking Trails in Boulder and Rocky Mountain National Park. Extra-Long Day Hiking Adventure: $600 for a private trip; Each additional person is $200 per person. We guarantee departure of all trips booked.